As a landowner, you know that taking proper care of your grounds and performing your due diligence when it comes to land quality and pollutants can be a critical component of running your business more efficiently. Farming is a delicate process which requires more than just planting seeds in the ground and watching things grow. Along those same lines, there are many different types of farms; from dairy farms to crop farms and more, there is no shortage of options for prospective agricultural aficionados to wet their beaks in the farming industry. However, do you know the positive (and potentially negative) qualities located within your soil? If not, you could be doing yourself, your business, and your overall well-being a major disservice. 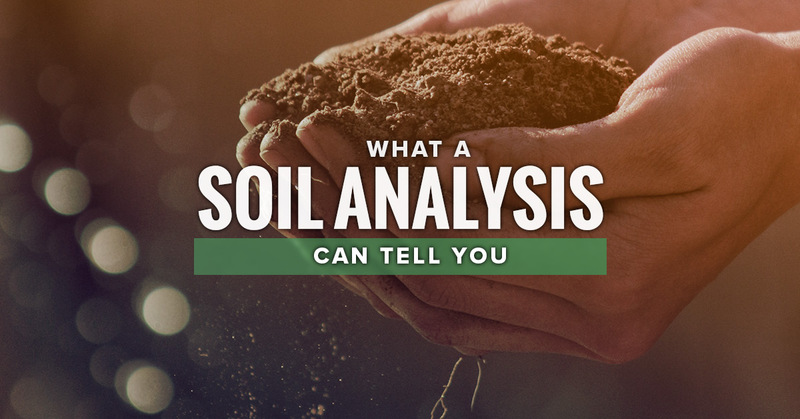 Proper soil analysis can come in handy when it comes to compliance with different regulations brought on by being a farmer, from efficiently dealing with manure and wastewater that animals produce to inspecting the nutrients in the soil to judge whether you’ll have a positive growing season. When it comes to agricultural consulting in Greeley and beyond, there’s no one better than AGPROfessionals. Our know-it-all agricultural developers and registered technical service providers can help you answer questions about soil sampling, analysis, erosion control, CAFO permitting crop consulting, and more. We can even aid when it comes to surveying and geotechnical services, which can help you plan out your farm and your limitations when it comes to boundary lines, knowledge of your topography, and subsurface explorations. If you still have questions about soil analysis, read our tips below and contact the agriculture consultants at AGPROfessionals today. When it comes to agricultural development, the fundamental purpose of a soil analysis test is to understand the availability of plant nutrients within the soil. That will help you to determine what type of fertilizers you may (or may not) need in order to produce bountiful plant growth. In addition, a soil analysis will help indicate whether there are potentially dangerous soil components which could produce serious health ramifications, such as lead, in your land. While there are some do-it-yourself kits available out there for soil analysis, it’s highly recommended that you employ the services of a laboratory for a more accurate reading. If you need help with this process, the agriculture consultants at AGPROfessionals are always standing by for your needs. Of course, not every farm is in the business of growing crops. If you’re in charge of a CAFO — Concentrated Animal Feeding Operation — otherwise known as a dairy farm or feedlot, you will also need to perform routine soil tests in order to gameplan your animal waste procedures. There are many regulations and licenses revolving around the safe practice of waste management, which is why routine soil analysis by a professional will help you stay efficient and up to code. Learn more about soil analysis by contacting AGPROfessionals today.